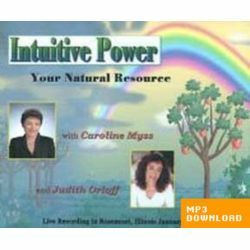 In this audio download, Tapping Into Your Energy Awareness, you will learn to transform your life by accessing your sacred energy. We’re not taught, as children, how to manage our energy, and this is a big omission. What drains our energy? 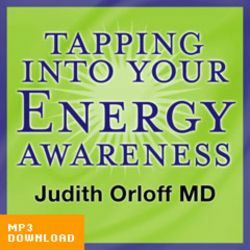 What increases our energy? What effect do the people in our lives have on us? Our souls come from a place of spiritual energy, and learning how to become aware of our energy levels and the positive and negative sources of energy in our world can help us further along the path of achieving our primary job in life – finding our soul’s true purpose. 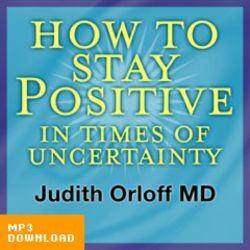 -Dr. Orloff helps her listeners discover their innate intuitive empathy — the ability to sense and absorb the energy of people and places around you — and learn how to work with it in a positive fashion to experience life to the fullest. It’s a tremendous gift, but this ability is not well understood in our culture. 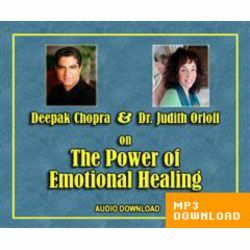 Often people who have high levels of intuitive empathy can find themselves overwhelmed by exhaustion, by physical aches and pains, and by other mysterious symptoms that doctors cannot diagnose. 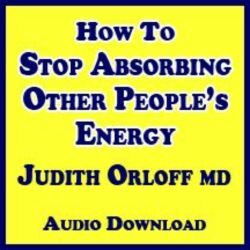 Dr. Orloff offers insight into the energy imbalances that can cause these feelings and provides a roadmap to increasing positive energy, avoiding overloads or energy drains, and living life to the fullest. 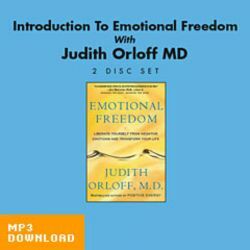 Download Dr. Orloff’s lecture today to learn how to open your heart and boost the levels of positive energy in your life!